Physical education in today’s schools – AquaBall – Naturally Flavored Water Drink! In addition to ensuring that your children eat healthy and drink plenty of water, it’s also important to make sure your kids are getting the proper amount of exercise. With more kids spending time in front of screens, playing video games or surfing the Web nowadays, it doesn’t seem as easy to get them to get outside and run around as it was with previous generations. This is why it’s especially imperative for schools today to provide quality physical education for kids. 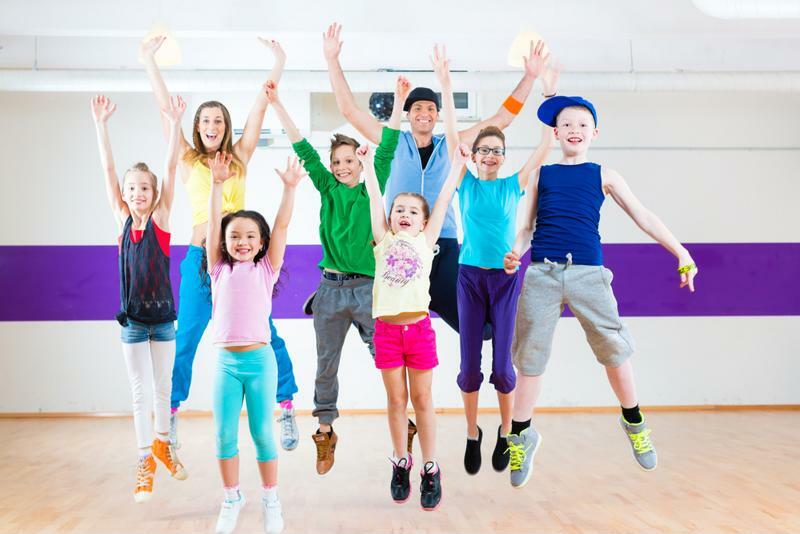 According for the Centers for Disease Control and Prevention, participation in physical activity tends to decline with age, so you want to make sure that your children are getting plenty of exercise to begin with. In 2013, over 40 percent of freshmen in high school took physical education classes, but that number dropped to 20 percent among high school seniors. It’s important to ensure that children know how to take care of themselves by teaching them the need for proper exercise and a healthy diet. It’s beneficial to teach children the benefits of physical activity early on. The No Child Left Behind Act didn’t outline any federal regulations regarding gym classes, leaving it up to each state to determine individual requirements. With increasing standardized testing needs, many states and schools have simply allowed physical education courses to fall by the wayside. The CDC has reported that nearly half of high school students don’t have a gym class. In some schools, this is because gym courses are considered “elective courses.” In other schools, physical education classes just aren’t offered. It’s obvious that regular physical activity, whether it’s from physical education classes, after school sports or independent exercise, is beneficial to a child’s health. Not only does staying fit lower childrens’ risk for type 2 diabetes and heart disease in the long run, but it can also minimize their chances of developing asthma or even ease their current condition. However, gym classes in schools has also been linked to improved performance in the classroom. According to the Washington Post, students in schools in Washington D.C. that provided at least 90 minutes of physical education per week saw higher standardized math scores than schools that didn’t offer as much gym time. This increased amount of gym time in D.C. schools is due to the city’s Healthy Schools Act. This act not only enacted certain requirements that school lunches had to adhere to, but it also increased the amount of time children spent moving in school. The requirements are rising incrementally, but in the 2014-2015 school year, elementary schools were required to offer 150 minutes of gym per week, and middle schools were required to offer at least 225. There are many reasons that this research could prove to be true. For example, it’s possible that allowing students to get their energy out during a gym class could contribute to increased concentration when it comes time to sit down and pay attention in the classroom. Physical education classes are also crucial for children at a young age since they’re being exposed to a variety of different activities. If a child enjoys playing flag football in class, he or she may be interested in joining an after-school team. If a kid never enjoys playing team sports in gym classes, he or she will know to participate in solo activities when given the opportunity for extra curricular activities. Gym classes are widely regarded as an excuse to let kids get out of class and run around for a little while. However, with obesity rates continuously rising – approximately a third of children in the U.S. are considered overweight, according to the National Institutes of Health – it’s imperative that educators use these newfound physical education requirements as an opportunity to teach kids the importance of staying healthy.